Gifts for DadGifts for MenJokes & Gag GiftsWTF? fly away or meet our sword !!! 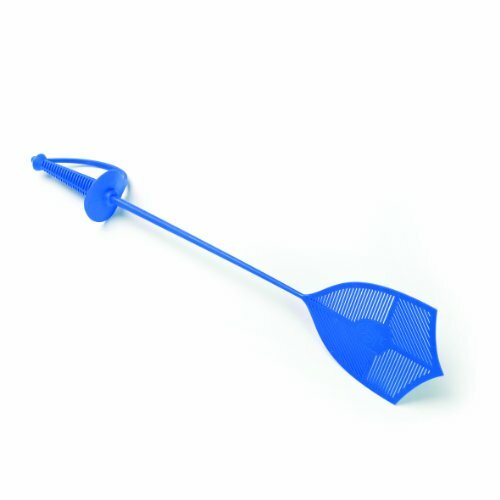 With this Sword Fly Swatter, you can finally be the warrior king of your castle and defend your kingdom from flying invaders!!! It’s made of durable plastic and comes in 3 different color options (red, green, blue). Aside from letting you have that sword you’ve always wanted (but you wife wouldn’t allow) it is actually a really effective bug killing device. It has a a foil-style basket hilt to protect your hands from their dead bodies. In addition, it has a large killing pad to make quick work of those annoying enemy invaders. It’s a great holiday gag gift or stocking stuffer. Dimensions: 53.5 x 11.5 x 9 cm. Colors: red, green or blue. Great for both indoor or outdoor bug killing.